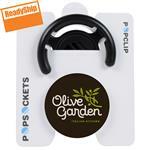 Custom PopSockets - one of our best selling brand lines with your promotional logo printed. 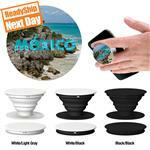 PopSockets help you hold your phone, work as a phone stand, and can be printed in full color or laser engraved. They are our most popular mobile phone accessory and now have options to work as a car mount. 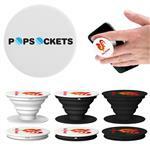 All of our promotional PopSockets come with free delivery in the lower 48 states! We can also ship to Canada. Let us help you design your custom popsocket today!